So hurry, run, sprint, get over to Life as a Foodie and check these out! And while you're there, check out the rest of Kim's blog. Not only is Kim a great friend, I love her blog and the way she likes to tell it like it really is. You are right, nutella is like butter: it makes everything better. I'll go and check your guest post now. Have a good day! That's such a beautiful cupcake! I am in love with nutella so I know that I would be all over these cakes - I don't think I'd be able to control myself! Mmmm...nutella! How can you go wrong! Gotta check these out!! Gorgeous! Everything with nutella is killer, no question! Nutella is amazing. As much as I love it I can't keep it in the house! Thanks for the link and wonderful comment. And thank you for being a great friend! It was a real pleasure to feature you yesterday. These look so decadent! I have been thinking about what kind of cake I want to make myself for my birthday and this gives me some much needed inspiration! Lovely photograph and Nutella is my kids favorite so they will love this recipe! Thanks! Nutella is like air... I can't live without it! I saw your guest blog and had to run over here and check it all out. Wow! So glad I did! Those are beautiful. May I ask, what type of tip did you use to make the swirls?? @LorelleI use either a 2D or 1M tip to give the frosting that swirly look. is this recipe still available? 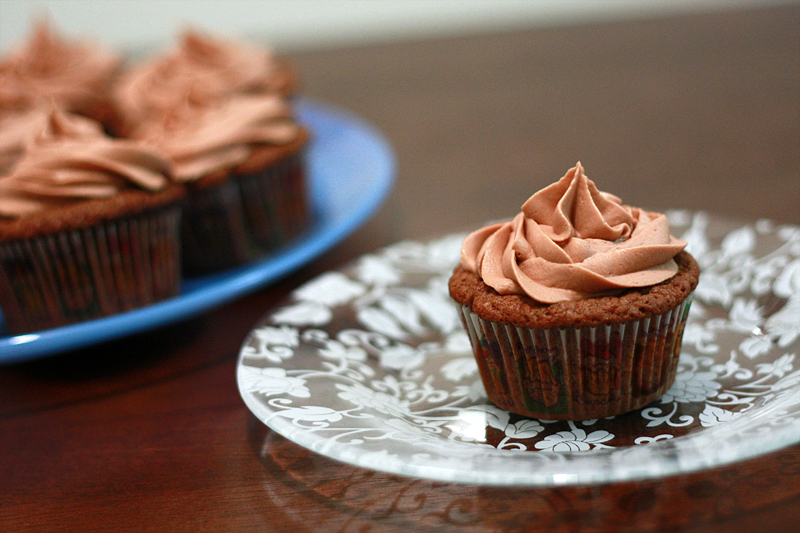 I believe it was just a riff on my peanut butter cupcake -- simply sub Nutella for the peanut butter. And start subbing the Nutella for the cocoa powder in the frosting, but start with a small amount and add until you get the desired flavor.